Frank Turner releases have been hit and miss recently. The first two records still stand in a class of their own as acoustic folk punk masterpieces, matched only by the fantastic "Tape Deck Heart" from 2013. "Poetry Of The Deed" was okay, but both "England Keep My Bones" and "Positive Songs For Negative People" just didn't have enough quality songs to keep the listener interested in the long rung. 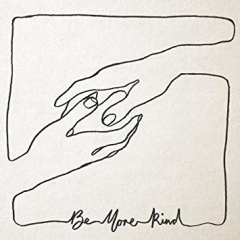 Unfortunately, that trend continues on Turner's seventh album "Be More Kind", where a bunch of great songs are dragged down by blatant filler. "The first time it was a tragedy / The second time is a farce / Outside is 1933 so I'm hitting the bar [...] If I was of the greatest generation I'd be pissed / surveying the world that I built slipping back into this / I'd be screaming at my grandkids: 'We already did this!'" It's an incredibly catchy track that simultaneously is a political statement on populism delivered through his typically clear lens on the world. Similarly, the pop-driven "Make America Great Again" is a pun on Trump's infamous slogan tarnished into a more positive message: "Make America great again...by making racists ashamed again". 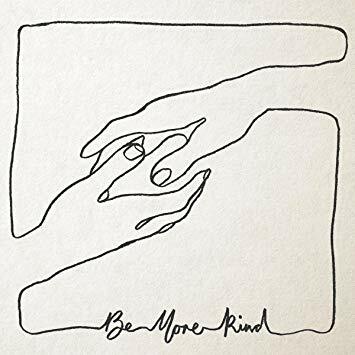 "Brave Face" is another fast cracker demonstrating that indeed, Frank Turner songs are at their best when the tempo is high and the acoustic guitar is being shredded to pieces, even if "Going Nowhere" and "21st Century Survival Blues" showcase that the slower tracks can work, too. Sadly, the record is riddled with boring tracks like the title track, "Common Ground" or "There She Is". They aren't particularly inspiring despite a good message, because the songs are just plain boring. They are too minimalistic, too mature, too contemporary rock to stand out in any fashion. And there are too many of them compared to the great tracks. So the conclusion is pretty obvious. Frank's best songs are still those that lean on his punk background: the fast bangers where the acoustic guitar is being given a ride of its life while the lyrical delivery is passionate and razor-sharp in its content. Sure, Frank has a lot of things to say about the world today, I just wish the great message would be dressed in better songs overall.